Happy Valentines Day! I am super excited to introduce you to one of my favorite people on the planet. Rhonna Farrer is the creator of the Rhonna Designs Apps available for android and iPhone. Her apps are jam packed of fun design elements that allow you to create right on your phone and it is so much fun!! I was able to bust out my valentines right on her app. I printed some off and just sent some digitally and it was super easy! Not only is Rhonna’s app absolutely amazing but she is one of the best people around! Go follow her on Instagram @rhonnafarrer to get uplifted daily by her amazing posts. She is always positive and motivating and who doesn’t need a little more of that in their lives? I was able to ask her a few questions about herself and her business and I am so excited to share what she had to say with you. 1. 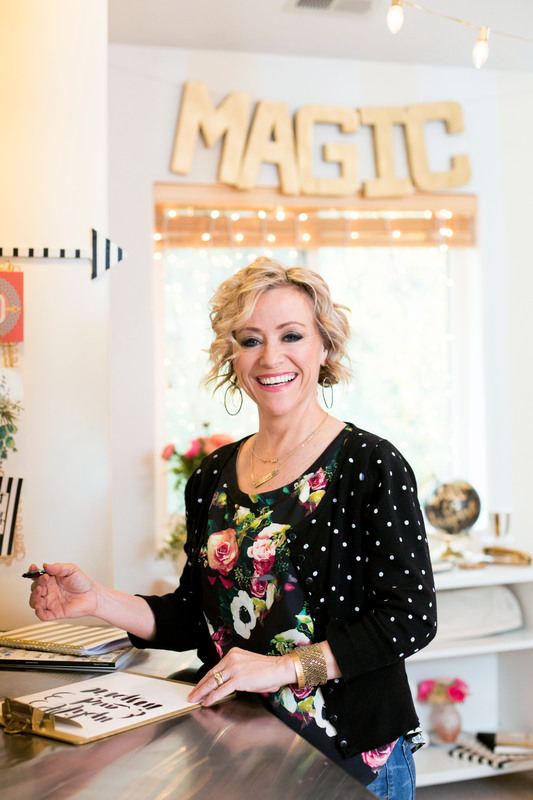 What is Rhonna Designs? The Rhonna Designs mobile app allows you to add personality to your photos & create memes, posters, cards, banners & more! The core app offers over 700 designs, 50+frames, filters and fonts with a ton of background papers & colors. There are in-app purchases to add more art & fonts whenever we release an update. Some of the features include: Adding metallic & glitter (silver, gold, rose gold) to designs & fonts. And the ability to adjust transparency, color, shadows, outlines, size & angles as you create with the text & design features. Add masks to any photo using the various shaped designs; even has the feature of allowing you to add multiple designs/fonts to the mask! The great thing is: you can export your creations in high resolution and get them off your phone and print them! and Rhonna Stickers (add in iMessages). Between all the apps it’s like having photo editing/design software capabilities right on your device! I’ve been designing in the greeting card, gift wrap/bags & scrapbook industry since 1997. When I started using Instagram back in 2010 I was dying to get creative with my posts and wanted to add text, designs, colors, etc. to make it a wonderful tool that you have right at your fingertips! 3. What is your inspiration or motivation? build others I think we can push down that darkness and fill it with light! My family is my everything and being a wife, mom & creative business woman really is my inspiration and motivation! 4. What are a couple tips for those new to your app? 5. We love how every year you chose one little word to focus on. What is your word this year and what does it mean to you? New Years Reslutions never worked for me. But, I love this One Word concept. I think everyone needs to find what works for them. And this works for me.